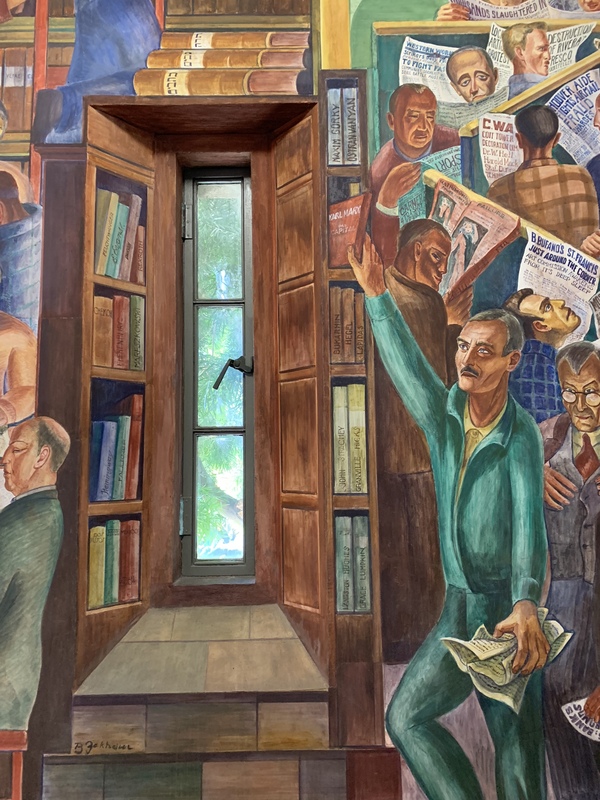 March 30, 2019 (1129 words) :: Free art is not something that can be achieved in the here-and-now, but the demand makes a political statement about the kind of world we want to live in. This post is day 89 of a personal challenge to write every day in 2019. See the other fragments, or sign up for my weekly newsletter. Inspired by a Twitter conversation started by Rick Paulas. 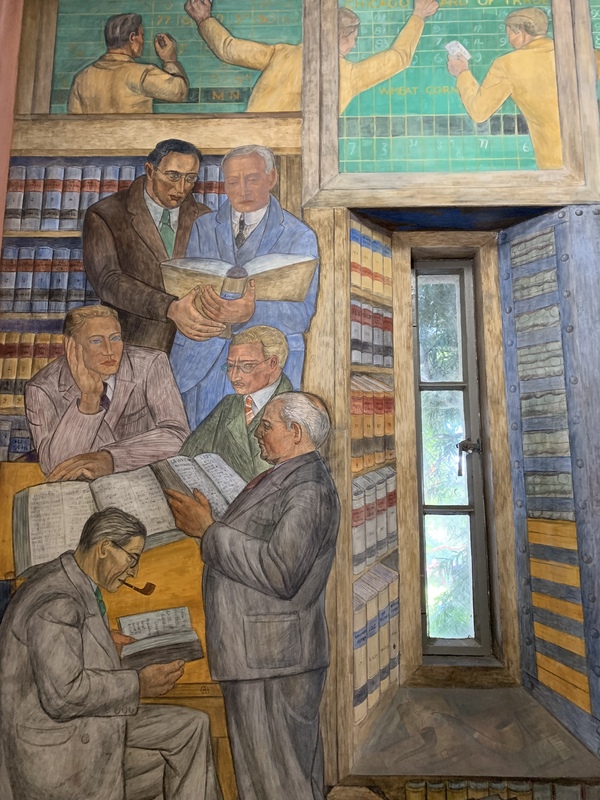 This post is a summary of the political ideas from convo as well as a bunch of pictures from a related tour I did today. I think there’s a lot of power in the political demand that something should be free: healthcare, education, public transit, art, software, etc. (I wrote a piece for Logic Magazine on this topic in the context of software last year.) This sort of demand takes a deliberately utopian perspective, by helping us to imagine a world where the most essential parts of our lives are no longer ruled by the cold logic of the market. Of course, this sort of demand won’t work on everyone. Those who are fine with the idea of everything being a commodity or transaction (probably because they can already afford everything they want anyway) are likely to reject the premise out of hand. But, you know, the demand for decommodification isn’t for those people. Instead, it’s for those who don’t have the money to afford things they want, or who those who simply like the idea of goods that are sufficiently non-rival/non-excludable existing outside the commodity form. Imagine being able to access cultural production (in any form - music, film, visual, written, whatever) without having to pay an entry fee, or monthly subscription fee, or rental fee! It would just feel so much more natural than the shambolic ecosystem of gated and corporatised content that we have now. If you’re in favour of decommodification, then it’s easy to make an argument in favour of services like healthcare, education, and public transit being free at the point of use. It gets a little trickier when it comes to things like art or software, though, mostly because the idea that “X should be free” has a tendency of being co-opted by capital. In this context, the implication that “you should not charge money for X” gets used to devalue the labour of people who produce things. Now, that’s the capitalist conception of free cultural production. The socialist one differs in quite a fundamental way, more in line with the funding models of the public services mentioned above. When we say healthcare should be free, for example, we’re not saying that nurses and doctors should be volunteering rather than getting paid; we’re saying that it should be available to all as a right, and that labour costs should be paid by the state (as in the case of Britain’s NHS, for example). Similarly with education: public school is free, but teachers are still paid (though the recent wave of teachers’ strikes indicates that they’re not getting paid as much as they should be). In that vein, the point of saying “art should be free” is not to say that “people who produce art should not be paid, full stop”. It is to say that the product should not be a commodity, because it would be beneficial to society if it were made freely available to all. Of course, given the necessity of wage-labour under capitalism, artists would need another source of funding if they’re going to spend most of their time producing art without direct compensation. My preferred alternative is public funding. I’m less picky on the exact mechanism - unconditional basic income? Vastly expanded grant systems? New Deal-esque employment on projects meant to benefit society? A democratic voucher system where people can vote on types of art they want to exist? We can probably iron out the kinks down the line, to find the right balance of encouraging creative endeavours while also making sure other necessary work gets done. Even a really basic system for publicly-funded art is bound to be better than the present system. To sum up: art should be free. This cannot be achieved by shaming artists into giving away their art for free, because that is not sustainable under capitalism. Instead, we need to restructure society such that aspiring artists are able to make art without charging for it at the point of use, rather than paywalled or kept in a private gallery or something. Now, that’s not exactly a small task, but at least having a positive vision gives us a sense of where we’re trying to go. And it’s actually not that hard to make incremental steps towards that, at least for a small subset of artists, just through increased public funding (even on the local level) of artistic initiatives. That’s all the words I have for today. 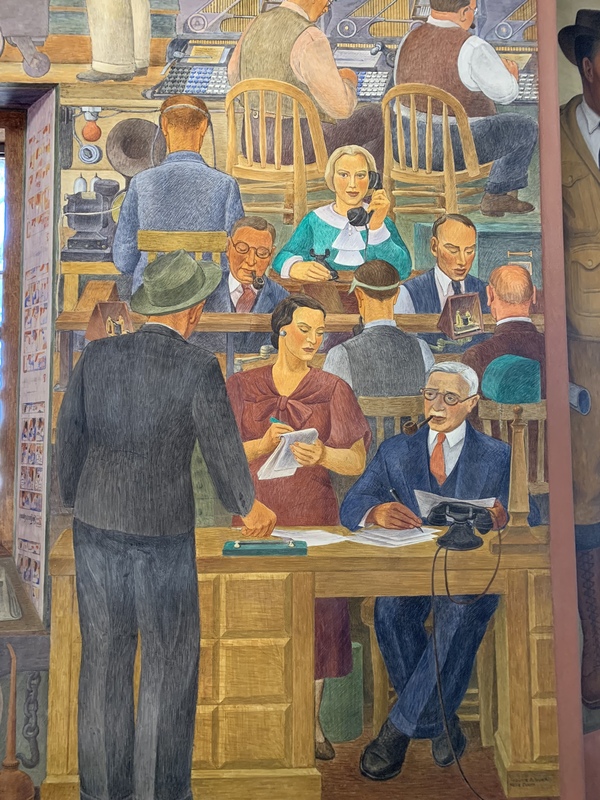 I’ll end with some photos from the murals at Coit Tower in San Francisco, which were created by artists who were funded by the Public Works of Art Project in 1934 (part of the New Deal). 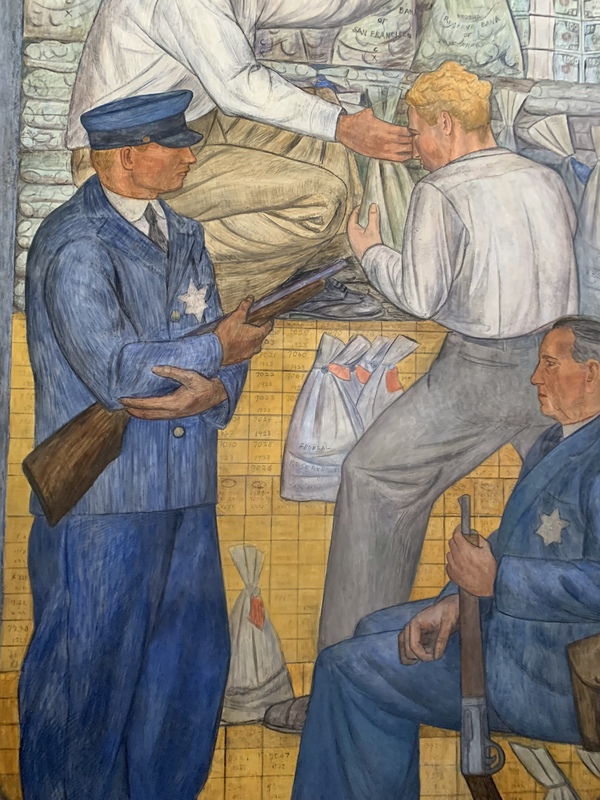 Many of the artists seem to have been quite politically radical (see the pictures below) and some had studied with Diego Rivera. 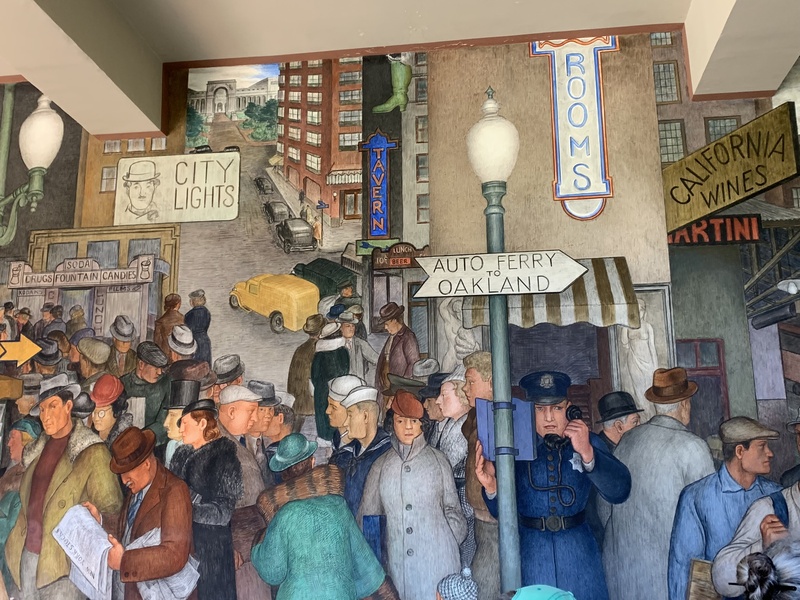 The murals are really cool, with lots of Depression-era social realism, and I recommend seeing them in person if you can - there are free guided tours every Wednesday & Saturday at 11am. Thanks to Rick Paulas for recommending it. On top: stockbrokers panicking in the wake of the stock market crash of 1929. On the bottom: lawyers or something, idk. A lovely mural depicting a bustling street scene. Everybody seems to be wearing a hat! A close-up of the newspaper stand just to the left of the previous photo. I love the way it’s integrated into the architecture of the building (the doorway is real). 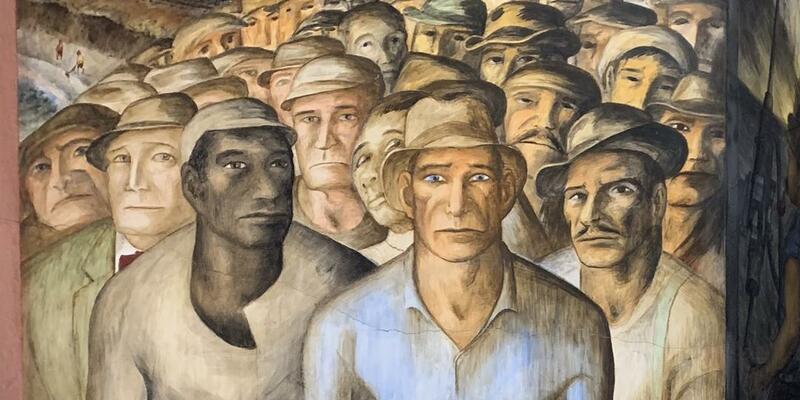 Spot the Daily Worker! The guy’s literally reaching for a copy of Das Kapital lmao I love it. A newsroom from the glory days of journalism, when it could actually get funded. 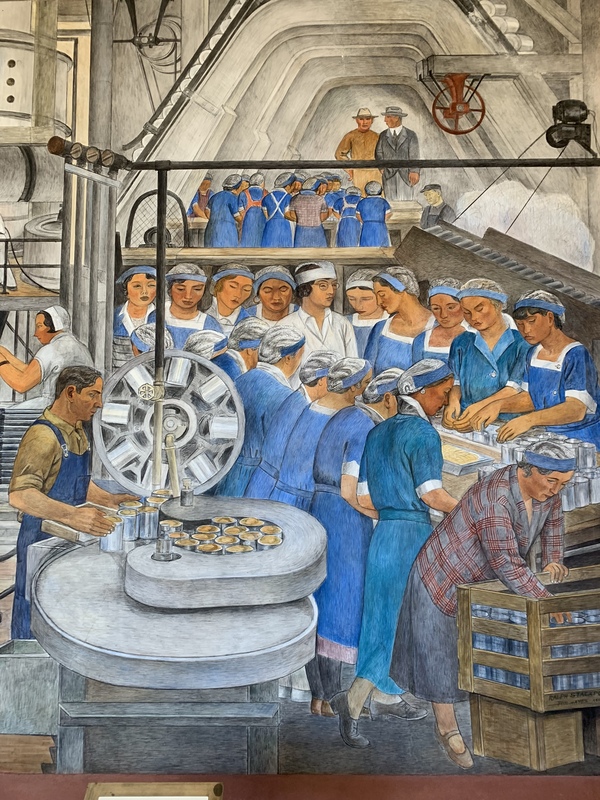 There’s something sadly realistic about the fact that it’s mostly non-white women working on the factory floor, who are overseen by a man in a suit and bowler hat. Can’t remember what this one was about. Maybe a strike? That would make sense given that a general strike took place in San Francisco that year, in the middle of the murals project. The newspaper that the guy on the left is holding was originally supposed to be the “Western Worker”, but apparently those words got censored after, and now all you can see is the headline: “Demonstrate on May 1st / Out against hunger war fascism”.